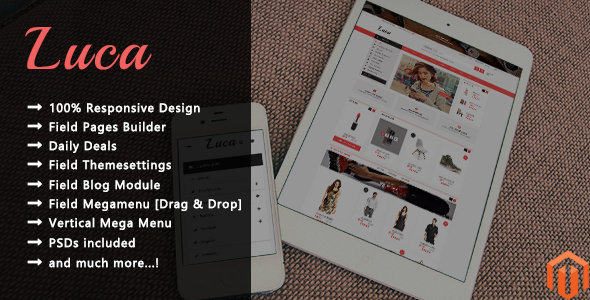 Luca is super flexible Magento 2 theme for multipurpose with a clean, simple and clear for creating your best online store. This responsive theme featured with4 homepage layouts, Field Pages Builder, Field Themesettings, FieldMegamenu [drag & drop], List and Grid products view, Product Quickview… In addition, flexible settings, fast loading, premium modules, fast support and much more. The theme is built with latest web technologies and SEO optimized to make it friendly with search engines. We Build is the right choice if you want to create professional and truly unique eCommerce website with ease. This amazing Magento theme is really helpful for you! Let’s experience Luca now!